This project’s design included construction plans for reconstruction of a two-lane rural facility to a four-lane divided urban facility, including roadway, drainage, structures, maintenance of traffic, and signalization plans. Within this project, a number of intersections were reconstructed and new signals were added. KCA worked as a subconsultant to complete design of 40th Street, Segments D & E, in Hillsborough County, Florida. The proposed improvements extended approximately 1.38 miles from Busch Boulevard to Fowler Avenue. The existing two-lane 40th Street was developed into a four-lane divided roadway with 4-foot bike lanes and 5-foot concrete sidewalks. The project geometry also facilitates transit vehicles with bus bays to prevent obstruction of traffic flow. 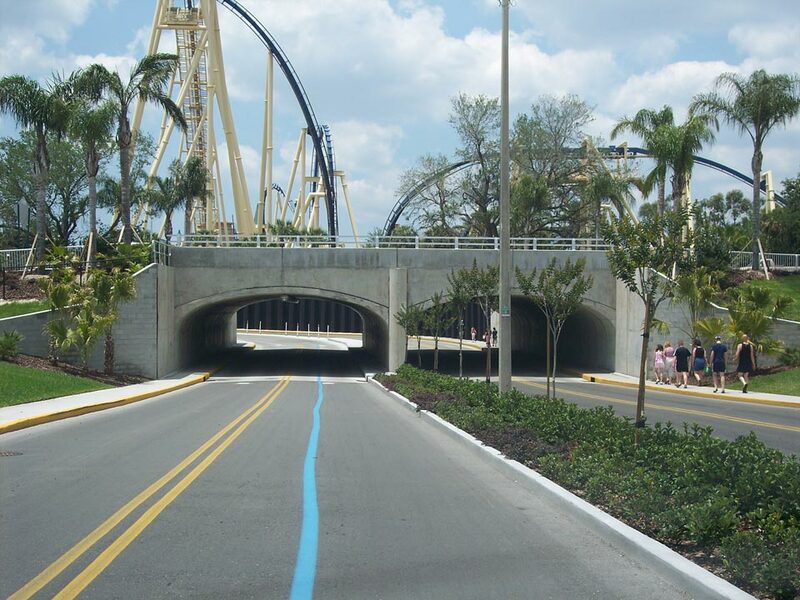 The project used a precast Tram Tunnel that crossed underneath the mainline to Busch Gardens. One 0.9-acre dry pond was used for Segment E in conjunction with a joint-use pond with Busch Gardens. Two vaults were designed for Segment D ponds. The underground vault system was used to provide drainage in a highly congested urban area with tight right-of-way constraints. The vault consisted of cast-in-place footings and walls with prestressed panels combined with a cast-in-place topping utilized for the tops of the vault.